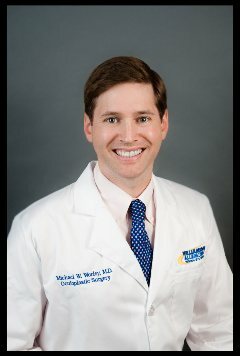 Williamson Allemond Regional Eye Center - Michael W. Worley, M.D. Dr. Worley is an Oculoplastic Surgeon with special training in Cosmetic and Reconstructive Surgery of the Eyelids, Mid-Face, Lower Face and Forehead. In addition, he cares for patients with Disorders that affect the Eyelids, Orbit and Tear Drainage Systems. Dr. Worley was born in Monroe, LA and is a graduate of Louisiana State University. He attended medical school at Louisiana State University-New Orleans. Dr. Worley completed Eye Surgery training at the LSU Eye Center and Ochsner Clinic, and completed advanced training in Eyelid and Facial Plastic Surgery at the prestigious Center for Facial Appearances in Salt Lake City, Utah. Dr. Worley is Gratis Faculty at LSU Health Science Center and is the Director of the Oculofacial Plastic Surgery Service. He has lectured at national meetings on topics related to Eyelid and Facial Plastic Surgery and has published numerous articles in journals such as Ophthalmic Plastic and Reconstructive Surgery and Modern Aesthetics magazine.